Dyanna Spa is a gay-friendly NY day spa that offers great salon services to homosexuals throughout the city. Although there is a new-found acceptance of gays, Dyanna Spa has catered to their spa needs since we opened in 1983, offering full body waxing hair removal services. With our 1987 opening at our present 21st Street location in Manhattan, we greatly expanded the services we offer. We take pride in the fact that we cater to both gays and straight people. It is our philosophy that not only are all men and women created equal, but that they have the right to equal spa services! Dyanna Spa offers hair removal services, both waxing and electrolysis, for just about anywhere on the body – literally from head to toe – with prices starting at $10. Facial hair removal treatments available include waxing of eyebrows, nose, upper lip, cheeks, chin, ears and neck. Body waxing includes hands, shoulders, back, chest, stomach arms, underarms, buttocks, bikini waxing and toes. For waxing, we use Azulene, a special warm wax that we apply with a wooden spatula and paper strips. Our “no double dipping” policy ensures that you receive safe and sterile service. For those with more sensitive skin, or when we wax sensitive areas of the body, we employ Cirepil Blue Hard Wax, a paperless process. Of all the waxing treatments we offer, we are best known for our specialty,Male Brazilian Waxing. We were one of the first Manhattan day spas to offer this then-unknown service. professional staff to make the treatment as comfortable as possible for you. Remember, they have years and years of experience. In addition to hair removal, we offer a full array of spa services, including massages, body treatments, facials, skin care treatments, manicures and pedicures. We also have spa packages and weekly and monthly specials advertised on our website and our blog. Check out some of these extraordinary spa services. Fabulous Spa Package: Can you imagine spending three luxurious hours of pampering? We make it a reality with a series of some of our most popular services – 60 minutes each of a Deep Pore Facial, a Fusion Massage, and a Spa Manicure and Pedicure. The cost is $200. European Facial: No matter what your skin type is, the European Facial is a safe and effective skin care treatment. 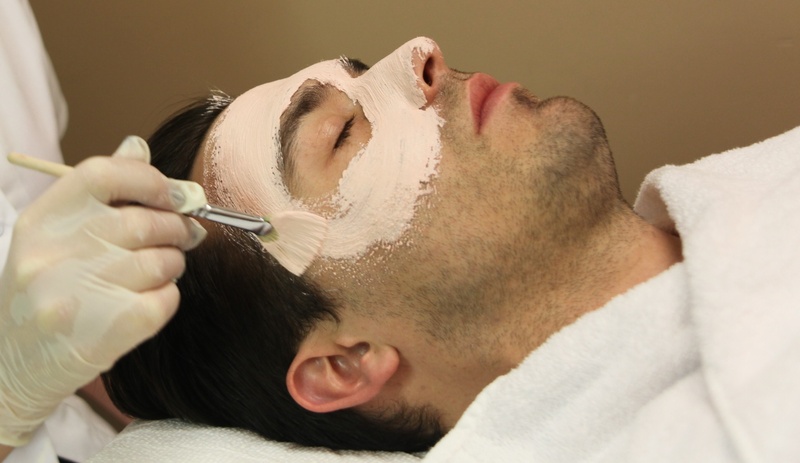 Our esthetician will thoroughly cleanse the skin, exfoliate it and apply a mask and moisturizing treatment. For one hour and $75, this needed indulgence will leave your skin feeling and looking fresh, smooth and rejuvenated. Sea Spa Glow Body Treatment: Using the renowned salts and healing nutrients from the Dead Sea, along with triple mint and olive oil, our esthetician exfoliates and hydrates your skin with this special blend. This 30-minute skin care treatment will have your body feeling refreshed, healthy and radiant for only $45. Black Currant Manicure: For just $35, this curative 45-minute manicure will have your hands looking and feeling their best. Black currants contain high concentrations of Vitamin C, GLA, a rare Omega-6 fatty acid, and potassium. Infusing these ingredients into your hands will relieve stress and restore the skin to a smooth, youthful glow. Just add a buff manicure or a polish of your choice (a little bit extra), and you’re good to go. We know you’ll like our friendly and professional atmosphere, which is why we have always been popular with the gay community. Schedule your appointment now and select the spa treatment of your choice.